Dodgers: Is Their Road to The World Series as Easy as it Looks? Give it up to Dodgers fans, they are enduring people! It seems like a lifetime since their last World Series victory. 1988 was a lifetime for many, and the question on every fans mind remains; is this the Dodgers year? Have they finally turned the corner? Record alone, says yes. The Dodgers are on pace to have the best season in franchise history and how their playoff run unfolds; will certainly be interesting. With a 19-game lead in the west; this race isn’t even close. The Arizona Diamondback couldn’t have picked a worse year; to start playing well! Watching the greatness of the Dodgers this year has been a fun ride and for baseball fans in LA, it doesn’t get any better than this. Historically, the Dodgers always collapse. Will it happen again? The last time the Dodgers won the World Series, Fernando Valenzuela and Don Sutton were part of the starting rotation! Leading the way on that great team; was Orel Hershiser. What an amazing year he had, with 23 wins, 8 loses and a 2.26 ERA. Recent history has been unkind to the Dodgers. What proof do betters have that the tide has turned, that maybe this year holds value for the gambler? Kenley Jansen— Stellar, beyond stellar. His performance speaks for itself. He has found himself and in a big way. With 58.1 innings pitched, he has given up 34 hits, 8 earned runs, 4, home runs, 6 walks, and 93 strikeouts. Jansen shuts the door and no screwing around! He is the real deal in closers. Clayton Kershaw— Having another fantastic year with 15 wins and 2 loses. The one knock on Mr. Kershaw is hits; he gives them up. In 141 innings pitched, he has given up 101 hits. Not the worst in the world, but could be better. Fortunately for Kershaw; he gets run support. With a Clayton Kershaw on the team; there is always a chance. He wins games, for sure he gives up hits and home runs (18) but the troops rally behind his cause. 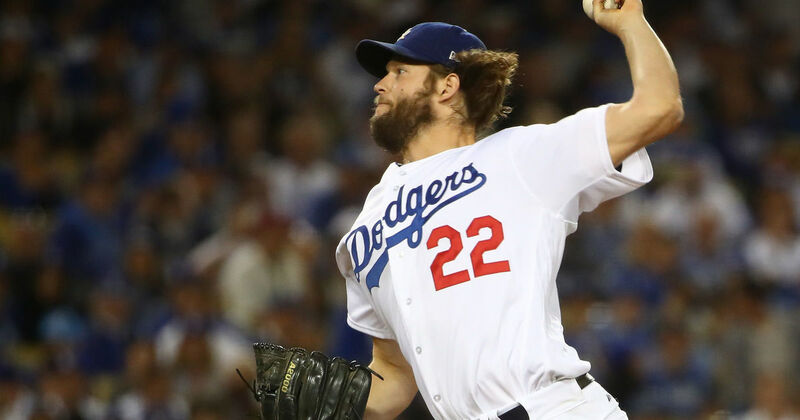 The key for the Dodgers and Kershaw will be to get that first win in the playoffs. He needs that win. Kershaw plays on confidence. The last thing the Dodgers need is for Kershaw to lose early. The Dodgers are hitting .255 as a team, the better number is what their opponents are hitting for average, against them, .221. Starting pitching has shut their opponents down, and Pedro Baez has proven himself as a reliable stopper in late relief. Turner, Seager, Taylor and Barnes are all hitting above .300. The dodgers first 4 have consistently tore it up at the plate all season long and it continues night in and night out. Can they keep up the pace? Why not? The Dodgers have finally found the pieces to the puzzle. They have found a winning formula and it is working on a high level. They show no signs of slowing down and the playoffs shouldn’t be any different. Look for the Dodgers to go deep in the playoffs and make a World Series run. The value when betting, will always be the run line. Will father time be good to the Dodgers? The best asked question is, will the Dodgers be good to father time?